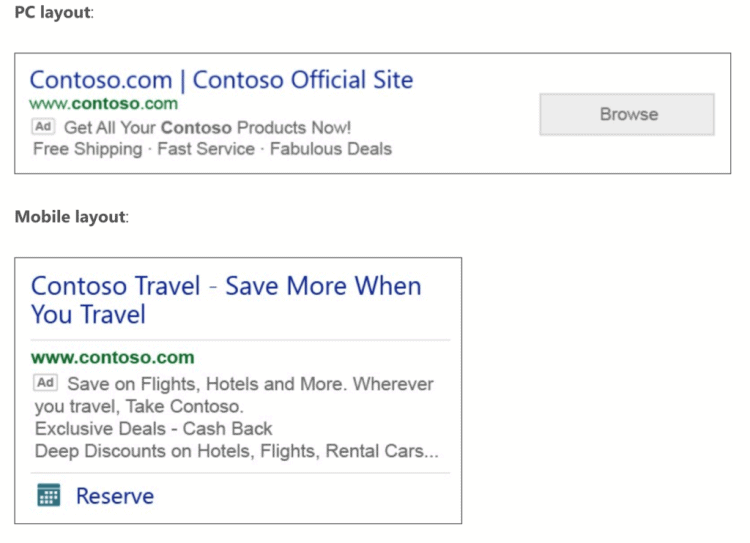 With the new extension added to Bing Ads, users can now use the CTA button in the text ads. During testing mode, the new Actions Extensions brought 20% increases in CTR. The Extension is available worldwide. There are 70 pre-defined Action Extensions as of now which are available in Bing Ads in the entire platform’s supported languages. Clicks on Action Exchange will have the same charge to cost-per-click as clicks made on the ad headline. Action Extensions can be displayed with further ad extensions, having site links. The URL fields are completely optional. The Extensions can be availed in all Bing Ads markets on mobile and desktop.